With SPF 25 soothes and hydrates skin while insuring protection from the damaging effects of sunlight in both the UVA and UVB ranges. This treatment rich hand and body lotion was developed to provide long-lasting moisture while brightening the skin and enhancing skin cell turnover. 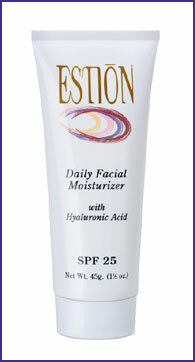 Contains Gluconolactone (a Polyhydroxy Acid) and a soothing and moisturizing blend of botanicals.